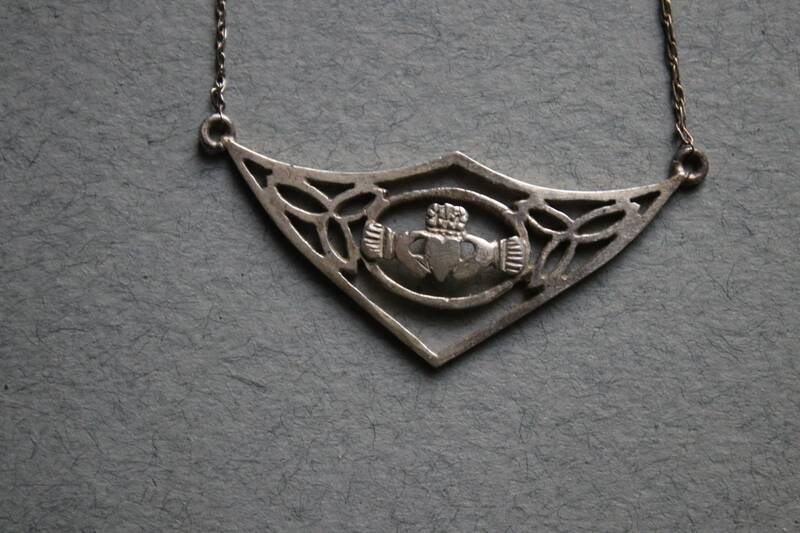 This sterling silver Irish Claddagh necklace measures 18.50". 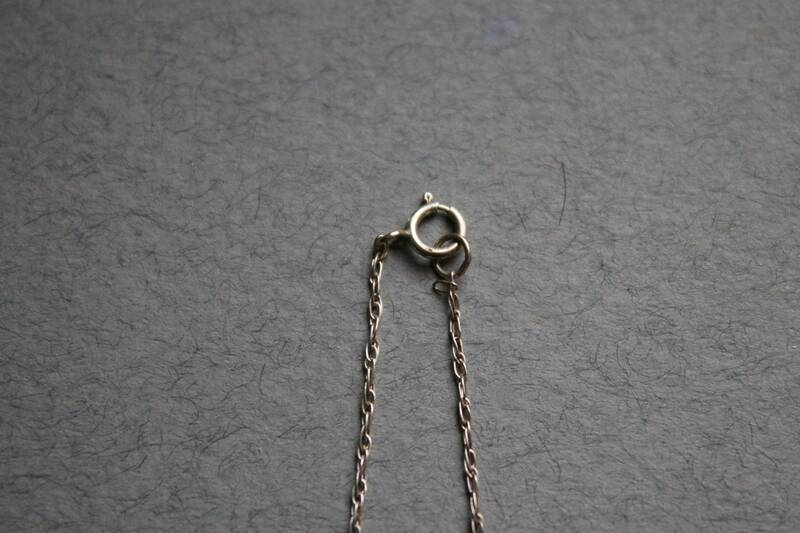 Length, straight down the center, from clasp to end of pendant is 9.25". I've not polished this piece but will leave this up to the discretion of its new owner. Geneva and London, and Goldsmiths’ Hall is widely considered the Convention’s ‘birth place’. The UK has been a signatory to the International Convention on Hallmarks since its inception 1972. 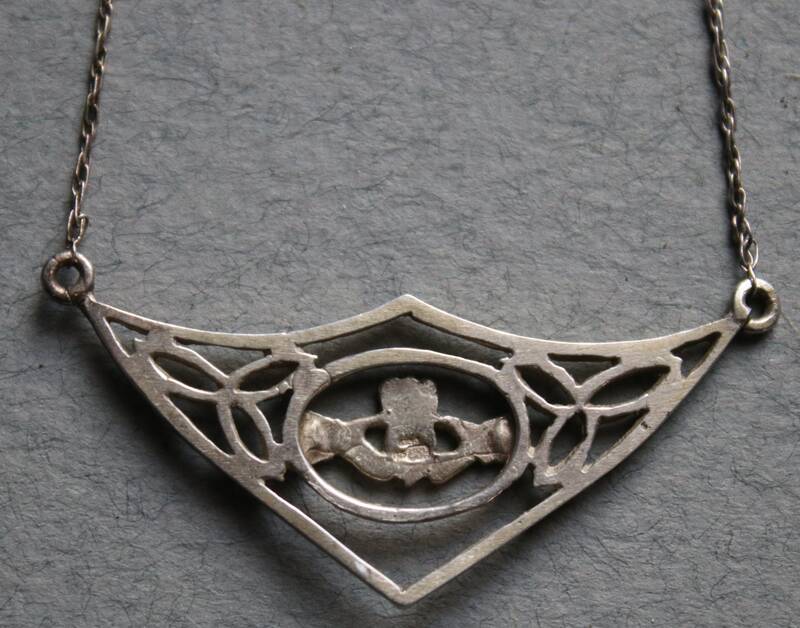 Your necklace will be sent via Priority Mail unless you specify otherwise.